I know you are already singing the “Bayyybeee Shark doo doo doo doo doo doo”, theme tune in your head. Anyone with young kids will know the Baby Shark song, you’ll either love it or hate, but either way, it’s stuck in your head for days. It’s impossible not to sing along. Kids, on the other hand, can’t get enough of the song and will watch those sharks swimming around on YouTube for hours if you let them. 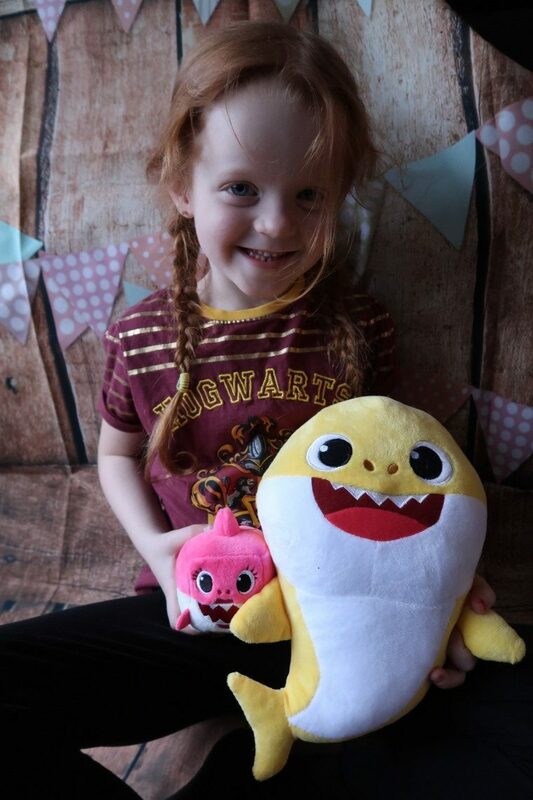 Jumping on the back of the global sensation Pinkfong Baby Shark song, which has over 2 Billion, yes 2 Billion views and even made it into the top 10 UK charts, they have brought out some merch. Yes, my boys tell me it’s not merchandise, it’s just merch. 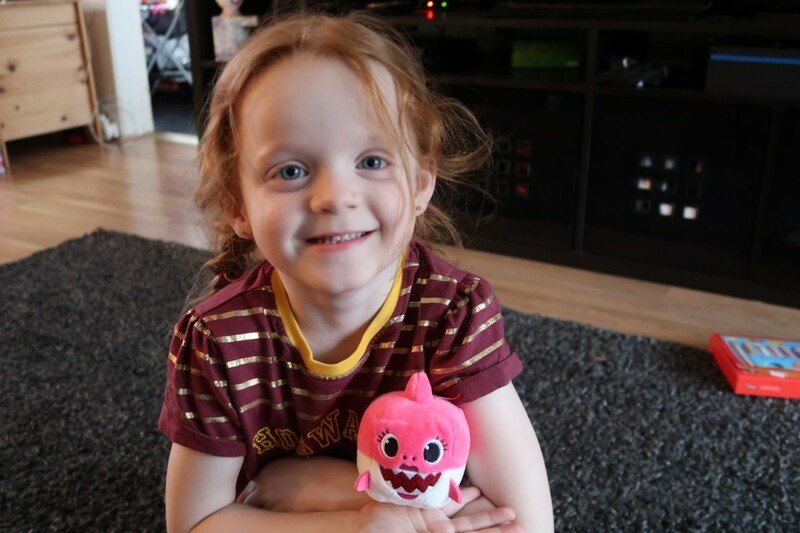 Well, WowWee has brought out these Baby Shark Family super cute Plushes and the kids love them. I have to say I am too. 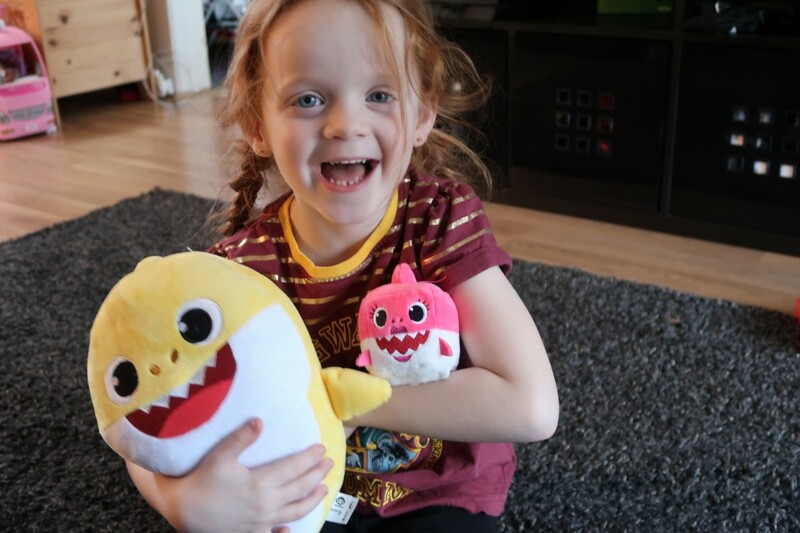 We were sent through two of the Baby Shark Family Plushes to try out. The first one is Baby Shark himself, you have no idea how much excitement he caused. All three kids loved him. Baby Shark really is the star of the show. At 25cm tall Baby, Shark is cute and big enough to cuddle in bed. He has soft, tactile fur and well made in terms of look and feel. His features are embroidered on so there are no hard lumps when giving him a squish. Each member of the family comes with a tag telling them who they are. It is in a little plastic pocket too, so it’s a nice little card. They are great fun to play around with, pretending to swim around during the day and giving hugs at night. The best bit, however, is when you press Baby Shark’s tummy low down and he sings an extract from the Baby Shark song. You can literally see the delight on Little Miss face when it started playing. Don’t worry, it is in a padded part, so it doesn’t feel hard when hugged. And you can press it again for silence. This toy has brought so much joy to three little faces. Also in the range, there are little cube members of the Baby Shark Family. These are small cubes in the colours of the shark family. We got Mummy Shark for this one, isn’t she cute? Like the large plushes, she too is super soft to touch with embroidered features. These are so much fun and can fit in your pocket too for when out and about. They are great for a game of catch too. Plus, they are stackable. Cube fun. Mummy shark also plays an extract from the Baby Shark song when squeezed around her middle and when pressed again, it silences here. Which, as much as I love the song, there are so many times I can listen to it at bedtime. 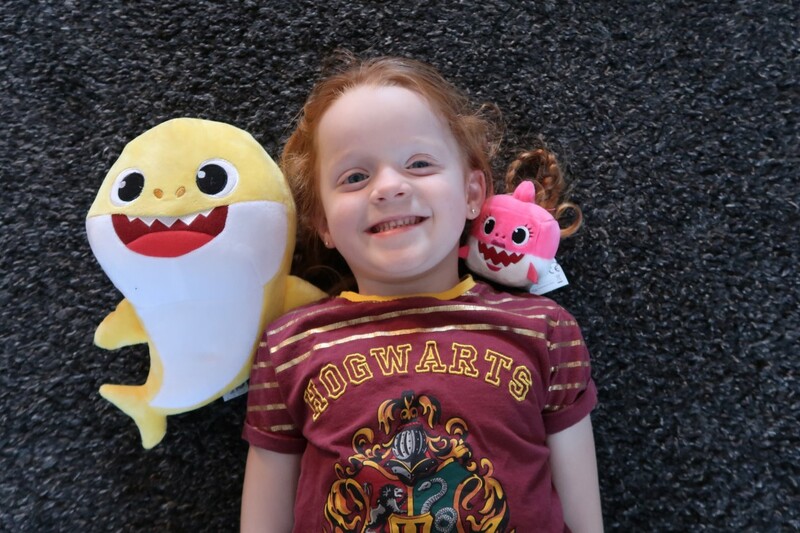 We are HUGE fans of the Baby Shark Plushies Range and I can see us buying a few more in the future. 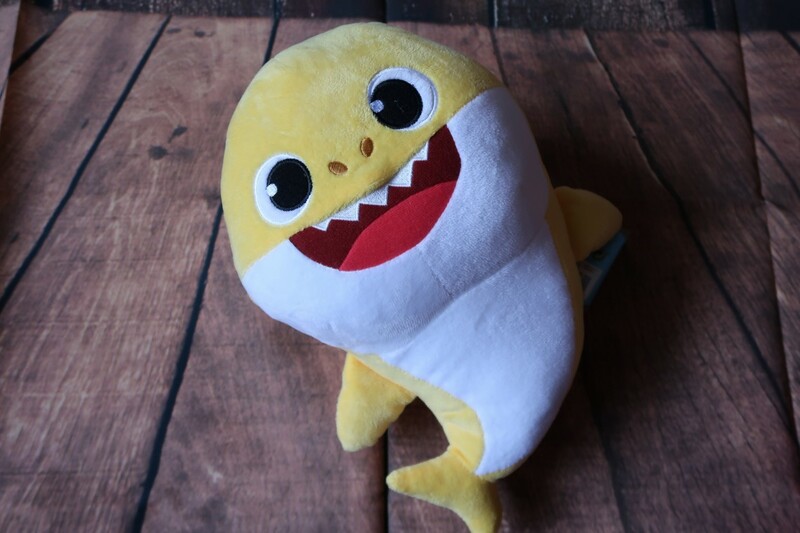 The large Baby Shark Plush has an RRP of £15 which is great value for money. It is well made and super soft and cuddly. The little Mummy Shark cube has an RRP of £7. It too is well made and soft, not quite as nice to take to bed to hug, but much better for playing with and taking on the go. The fact both play the Baby Shark song is great and I do like that you can silence them. 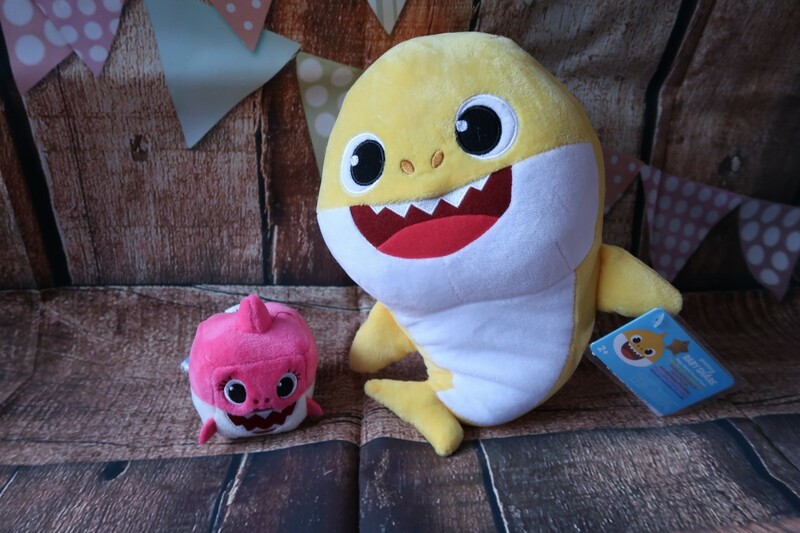 Both toys are available in Baby Shark, Mummy Shark and Daddy Shark. Daddy Shark is blue in colour. 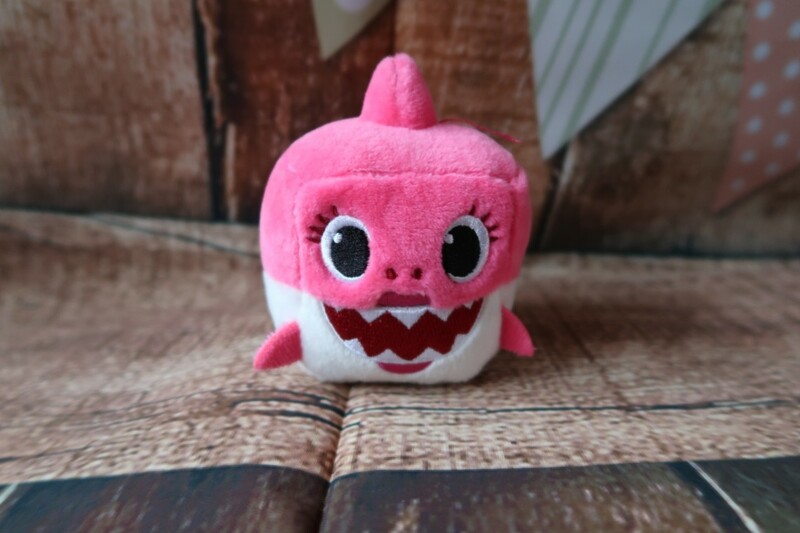 These would make a great gift for any Baby Shark fan and are suitable for ages 2 and up. They are available at the Entertainer, Toy Shops and Amazon. Disclaimer:- We received the samples for the purposes of writing this review, however, all thoughts and opinions remain our own. I refuse to get these lol 😂 the kids I look after make me do this crazy dance everyday. every company cashes in on the back of popularity so nice to see somebody jumping on the bandwagon with these. All mine love the song and dance along, I feel it is a great learning tool, words and actions together and they can join in regardless of age.